Stephanie and Anthony's March wedding was held on the beautiful Promise Rock lawn at The Boulders Resort in Carefree, Arizona. Beforehand, the bride and groom shared a private first glance under mesquite trees lining the idyllic pathway near the resort's golf greens. 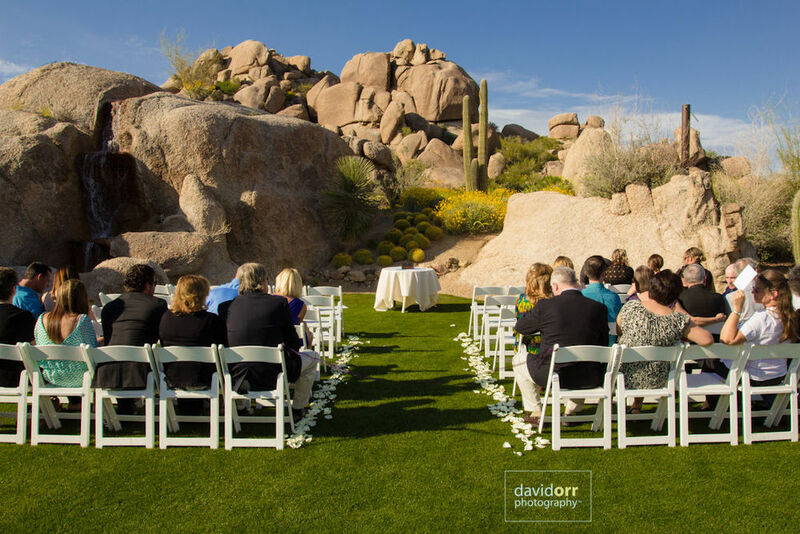 Rough granite boulders, ocotillo, and majestic saguaro provided a natural desert backdrop for the couple's photos following their outdoor ceremony. Stephanie and Anthony rounded out the night with their reception at the landmark El Encanto Restaurant in Cave Creek.